Based on manga series "Niche Sensei Konbini ni Satori Sedai no Shinjin ga Maiorita" by Koma Matsu (writer) & Hashimoto (illustrator) (first published September, 2013 in Monthly Comic Gene). Tee May 15 2017 12:10 pm I watched the first 2-3 episodes then I got hooked. After I've finished watching the whole series, I find myself going back to randomly watching any episode, whereas now (4 months later) I probably have seen each episode at least 5 times! It's like Seinfeld. It's not about anything in particular, everyone has their own comedic quirkiness...the twentysomething who can't get any professional job, the Buddhist student, the idol singer who can't sing, etc. It's funny! Daesu Nov 18 2016 8:05 pm I wasn't too too sure after the 1st ep but hooked by the 2nd. All round great cast but Jiro Sato steals the show as the store manager. Watch carefully during his many rants and you can see Tomoharu Nii and the others struggle and fail to keep in character. Nonette Jun 29 2016 2:15 pm I think this dorama is really funny. It is good in its own unique ways. Shotaro Mamiya as Nii 'Niche sensei' is cool and charming esp when he was reading Buddhist sutra. Another cast were awesome too. 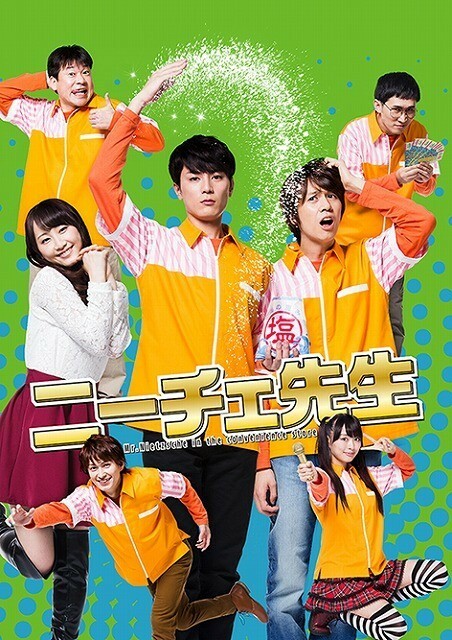 If you like Japanese dorama you should watch this. goWatchIt!! Apr 08 2016 5:00 pm This the best dorama this season!! so silly yet funny. Everyone should check it out. Last time I laughed like this was for Watamote. Jay Quintana Mar 25 2016 2:57 am This might be the silliest show to have ever been made. And yet, well, it's never boring. Vad Mar 03 2016 11:42 pm What's the ending title? Monz Feb 03 2016 2:48 pm what's the OP tittle? Marley Dec 10 2015 1:15 pm RENA-CHAAAAAAAAAN!!!!! !